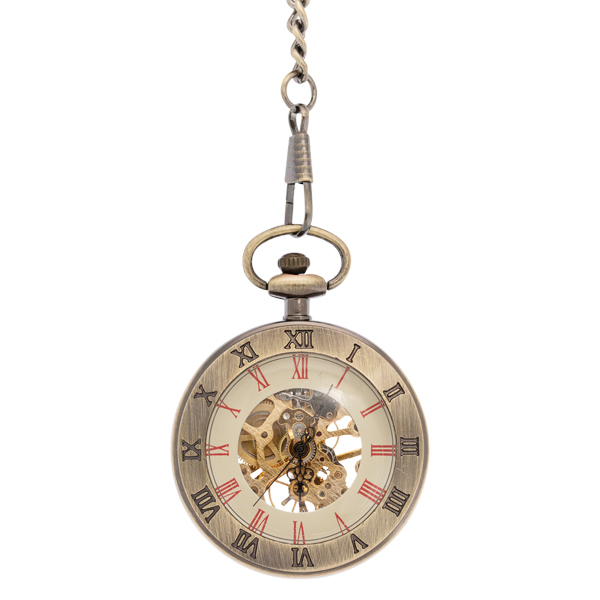 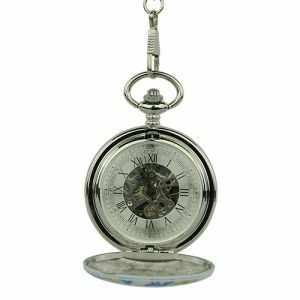 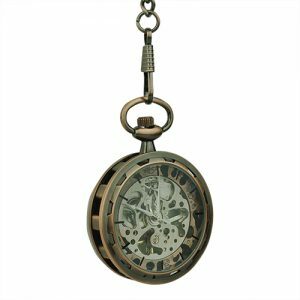 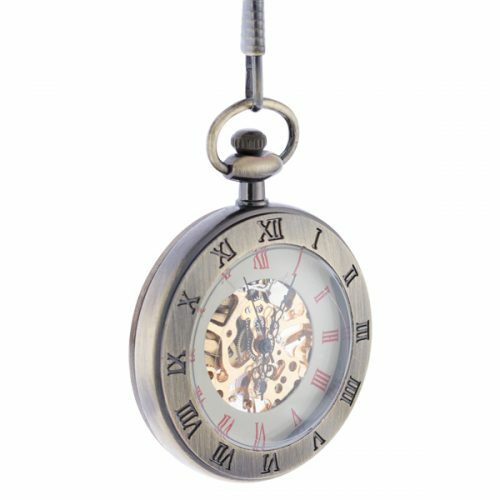 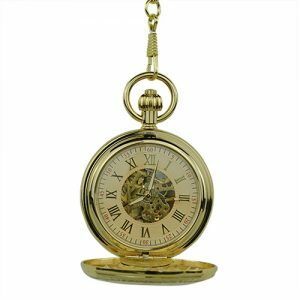 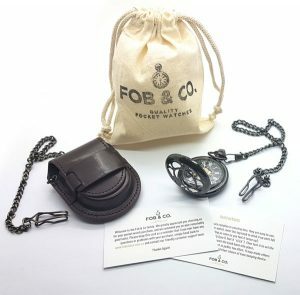 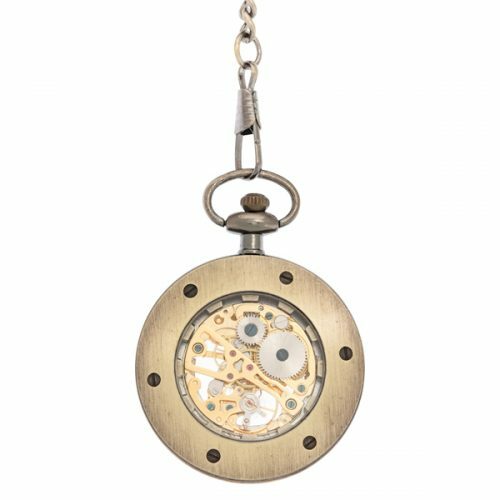 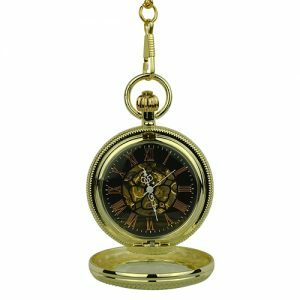 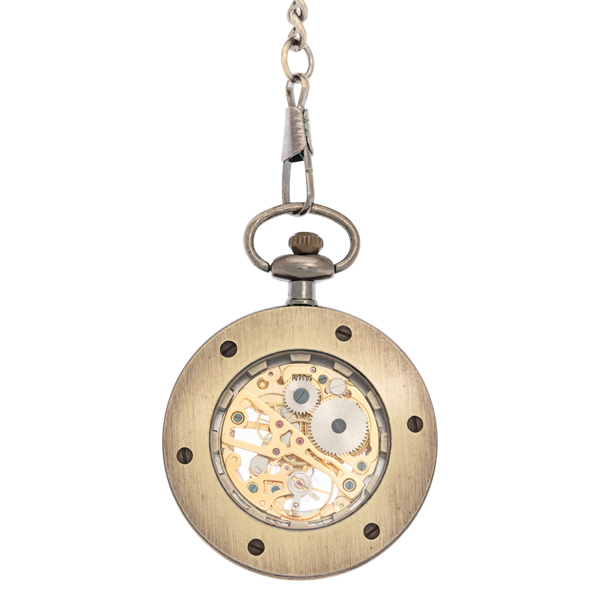 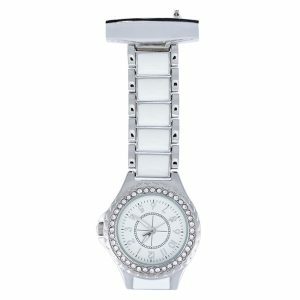 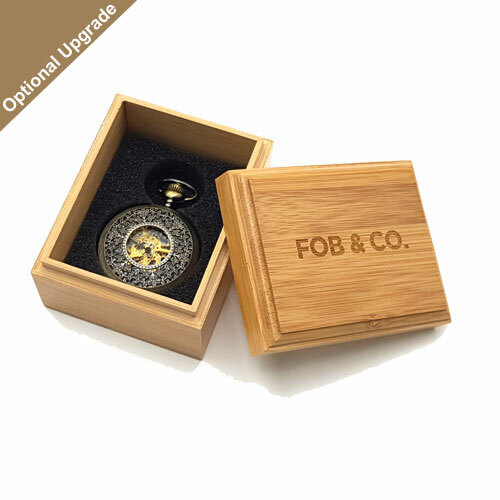 Metallic Grain Double Ring Pocket Watch - Fob & Co. 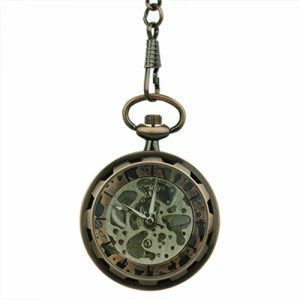 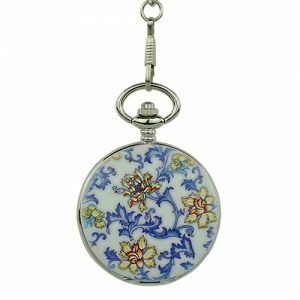 Enjoy the unique look on this dual ringed pocket watch. 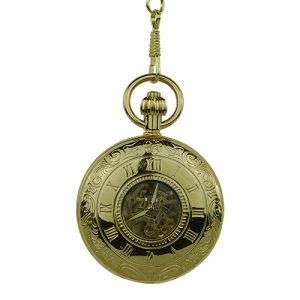 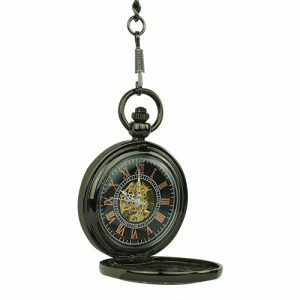 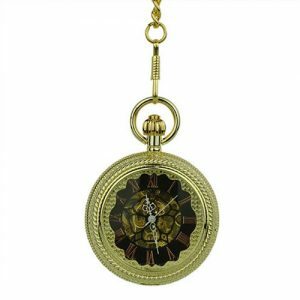 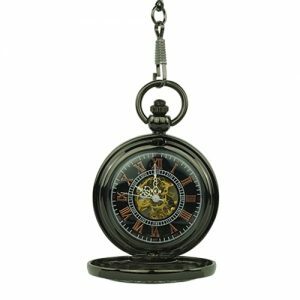 Two sets of Roman numerals, one in red and one in black, keep you running on time while a large viewing window offers a look into the inner, gold coloured workings on this sophisticated pocket watch.